At Pams we are delighted to present this product available for flower delivery in Corby. 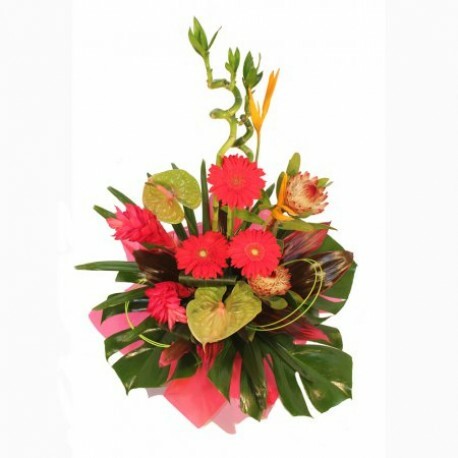 A green and red arrangement in a container with exotic foliage. Can be delivered up to 12mile radius of corby at extra cost.